Note that because the folder browser starts you at "My Documents",it appears that you cannot change to a folder that is not in your "My Documents" hierarchy. Anders Isaksson presented a list of shortcuts he found in this lugnet.cad post. Note that LDD does not honor your keyboard layout (at least, on the Mac), but instead assumes QWERTY. So for example, to toggle Lock (snap to part) mode on a Dvorak keyboard, you have to press N, which is where the L key would be in a QWERTY layout. The shortcuts are described in the documentation provided in the Windows installation. If you installed in the default place and selected english, it will be this file (paste the link into your browser) file:///C:/Program%20Files/LDD/documentation/engmanual.html ... scroll almost to the bottom of the documentation to find this information. The Macintosh version of LDD doesn't seem to include the documentation file. Good thing we have BrickWiki to help Mac users out. On the Mac, use the Preferences menu (the only non-system menu in the menubar) to uncheck the 'Use Starter Sets' option. In Windows, right-click either the top of the window (when in LDD), or the LDD tab in the Taskbar at the bottom of the screen (to the right of the Start button). 'Preferences' will appear right below 'Close'. Uncheck 'Use Starter Sets'. If you do this, the price of the model may go up. This will, of course, depend on which parts you are using. 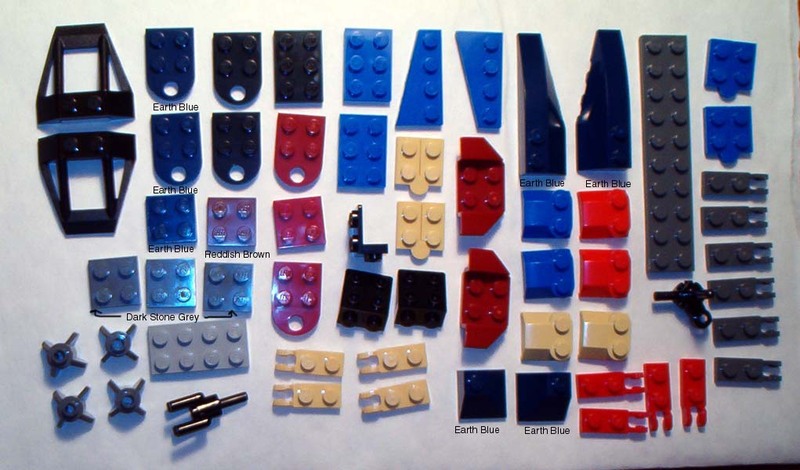 As builders of non-virtual LEGO sets know, the LEGO elements are packaged in small bags, with many typical sets containing between 1 and 5 bags. These bags--part bags from the current line of LEGO designer sets--are currently the base unit for LEGO factory building. 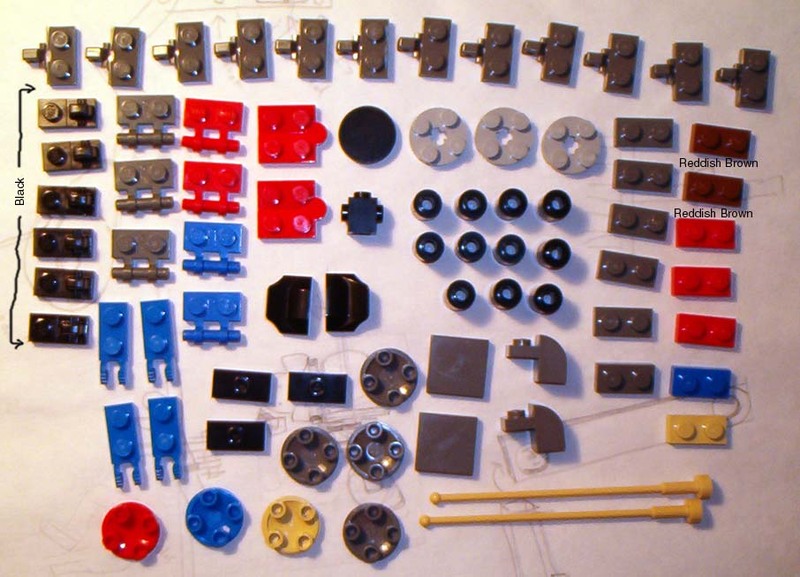 If your model uses 25 parts from a single bag, it will cost the same as a model which only uses 1 part from that bag. However, it should be noted that the extra parts from that bag will be included in your factory model (with LDD 1.4, this system of organization by bags is not clear to the user). 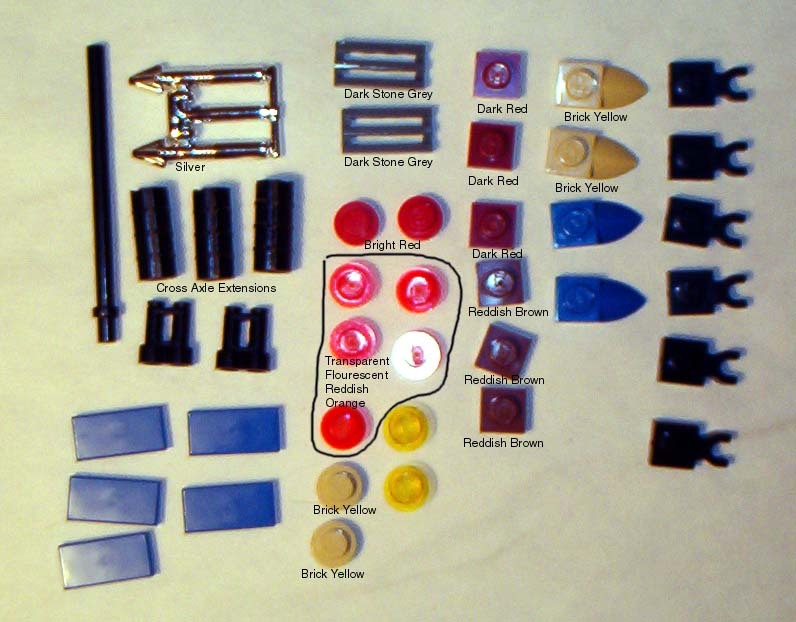 This, we can assume, is how the real LEGO factories are able to manage part inventory. Note that the pageup/pagedown keys seem to work on parts that are selected but not clinging to the mouse. When moving a part, it will "snap" to another brick while you are still moving it. However, it toggles between snapped and unsnapped very quickly. If you click the mouse, the part will most likely go where you think it should. You don't even have to wait for the "snap" to click the mouse. Because of the nature of 3D space as interfaced by 2D screens, you will often inadvertently place pieces too far in the background, or deep beneath the "floor." 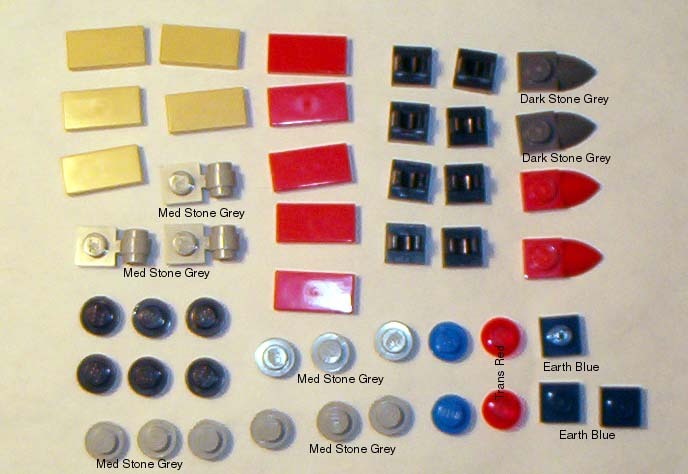 To avoid this, place helper bricks attached to already placed parts. This will allow you to use the snap feature to place a brick exactly where you want. You can then delete the helper brick. For example, if you wanted a 2x4 brick with another 2x4 brick hovering one brick's height above it, build a stack three 2x4 bricks high and then delete the middle one. This technique can be used to create complex placements of bricks which would otherwise be near impossible or far too cumbersome in LDD. To place a brick in a precise position, adjust the camera so that you are looking directly down, or directly up at your model. Place the brick close to where you want it along the X and Y axes. Next, re-center the camera by clicking the center viewpoint button (looks like --> [o] ) and clicking on your nearly perfectly positioned brick. As the camera moves, you may notice that further XY repositioning is necessary. When it is perfect, readjust the camera for a side view and use PageUp & PageDown to position. Unfortunately, sometimes you will need to move "through" objects. This is not yet possible with the current LDD, but you may find that moving them out of the way temporarily and snapping them back in place later will suffice for your purposes. Note also that people have reported difficulty in selecting a part for action without it immediately moving to where the mouse pointer is, so watch out for that. After selecting a part and having it spring out somewhere random when this is not the desired effect, there are certain key combinations that will apparently return it to place. For example D (duplicate), or M (multiselect), will return it. You don't have to then actually duplicate something or select another piece, you can then use the pgup/down keys to move the part. Alternatively, you can avoid the brick-flying-out-of-place-when-selected effect by using the "select multiple" (arrow +) instead of the regular selection tool. To quickly adjust the camera angle, hold down the ALT key and drag the mouse (with left button down to orbit, right to zoom and middle to pan). LDD will not allow the camera to remain in side-view positions while in building mode, but while in screenshots/building instruction mode, all views are possible. Submit your models to the LEGO Factory from this mode (rather than the building mode), and your side-view camera angles will be preserved, showing up in the LEGO Factory gallery, and on the box of your Factory model! This will ensure your MOC is seen exactly as you would like. When using the PageUp & PageDown keys to position a part, you may want to see that piece from a side angle, as mentioned above, LDD doesn't seem to allow this. There is a workaround. First select the piece you would like to move (use the select multiple or super select tool--don't pick up the piece, just select it). Next, hold down the ALT key and drag the mouse to the desired viewpoint. You can let go of the mouse, but don't let go of the ALT key. The viewpoint will temporarily remain in place and you may use the PageUp & PageDown keys to position your piece. Here are a few tricks for the adventurous. They involve changing settings and we can't promise they won't mess things up. Within the LDD root directory is a file named lego.conf, which contains the line "DeveloperMode=0". Upon changing that boolean to 1, you will have activated a small number of developer functions, which may prove to be of some interest or novelty to power users. One key feature of the developer functions is the ability to manually adjust building instructions. Read more about Developer mode and what other secrets lego.conf seems to have. You will notice a number of tags for adjusting the brick angle rotation amounts, and the vertical step size. The rotation values affect how much a part is rotated in the locked and unlocked modes. The vertical step size adjusts how much a part will move when you use the PageUp and PageDown keys. As of version 1.6, LDD supports loading and saving LDraw files. This provides a fairly simply method of converting LXF files to/from LDraw files. To load an LDraw file (it only recognises .LDR or .MPD extension), simply copy it to the LDD Models directory, on Windows platforms, this is usually \\My Documents\LEGO Creations\Models. When LDD displays it's file open screen, all such files will appear as a yellow 2x2 brick. If the model contains bricks not currently available in LDD, you will be presented with an option to either download the missing bricks, continue loading without them, or cancel. Choosing to continue loading will load the model without the missing parts, and your model will appear incomplete. Choosing download missing bricks attempts to download all the missing bricks, and load your complete model. This may or may not be completely successful, and you model may still appear incomplete. Note: LDD will use any steps you have included in your LDraw file, instead of the defaul 1 step per 3 bricks it normally uses. To save in LDraw format, simply add .ldr or .mpd to the end of the filename. The suffix does not appear to affect the content of the saved file. The saved file will have none of the standard LDraw header information, but will include step information for instructions. And even if you save in LDraw format, a thumbnail will be generated for the file. CNET article giving LEGO's view on this hacking as well as thoughts from those involved. the rest of this section needs some rationalization... some of this may need to move to specific bag articles? Adrian Carpenter took pictures of the bags from the set that is thought to be "My Robot"
From Brickshelf Copyright held by Brickshelf user Adrien. This page has been accessed 15,554 times. This page was last modified 07:10, 7 March 2016 by Brickwiki user Claude Bombarde. Based on work by Ted Godwin and Larry Pieniazek and others.